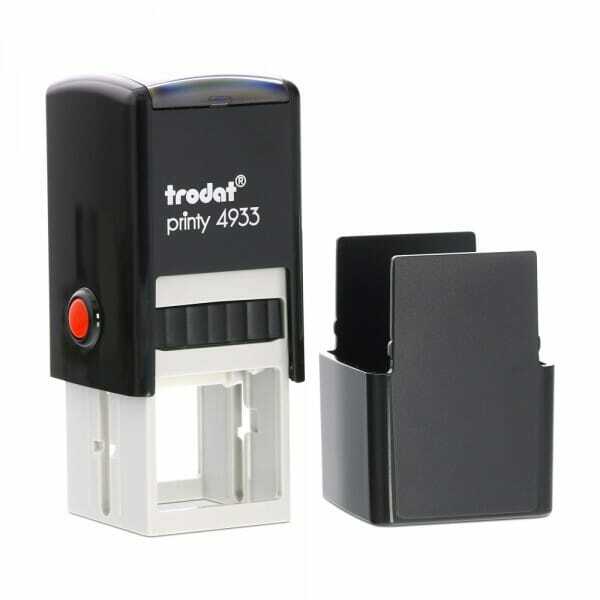 Customisable, self-inking business stamp with limitless possibilities! Create your own impression on a size of 25 x 25 mm! For example your business logo and contact telephone number, allowing you to quickly and effectively leave contact details with customers! Enhance your impression further with multicoloured impressions, capturing your company brand colours to create eye-catching compact impressions. The square imprint creates a visually appealing mark on any page, drawing instant attention to your company and prestige. Customer evaluation for "Business Stamp Small"